The DCEU has seen its share of criticism. From problems with characterization and tone to difficulties with, um, telling a coherent story, the studio has seen multiple films weather harsh judgments. But there’s one thing you won’t be able to fault Justice League for—its running time. As confirmed by Manabyte, the run time for Justice League, coming out November 17, is 121 minutes. Just one minute over two hours! 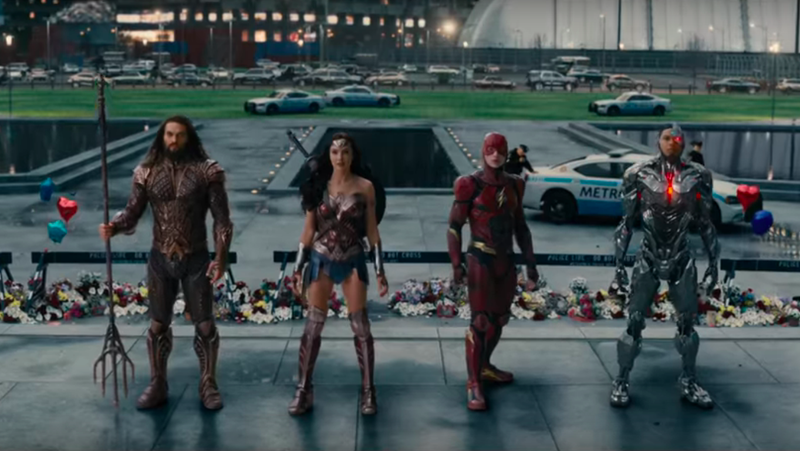 That’s what people in the industry, as well as those of us who like things that aren’t too long, call, “a perfectly reasonable length for a movie.” Especially when you consider that this is the big tentpole film for DC, the film that brings together all their major characters, Avengers-style, and pits them against a common enemy. It seems fair to guess that Joss Whedon might have a little something to do with this. After all, early edits of the movie were reported to be near the three-hour mark, and although director Zack Snyder quickly refuted those claims, it wouldn’t be unusual for the helmer of the 151-minute Batman V Superman: Dawn Of Justice to deliver an overstuffed film. But since Whedon took over reshoots and editing earlier this year, the film has now become the shortest of all the DCEU movies. Now all that remains to be seen is whether the film can continue the DC winning streak begun with Wonder Woman this summer—shooting those extra scenes with the Themysciran warrior princess probably won’t hurt.